On Thursday afternoon, I was hit by a car while walking in the crosswalk, and I had no idea what to do about it.The person who hit me was turning into the lane. She should have stopped to let me pass, and the assumption that she would stop at literally any second is why I kept walking. I realized she wasn’t going to stop, just in time to turn and splay myself across her windshield rather than fall under her car. At that point, she finally stopped. It was very lucky; she either had a severe cognitive issue or was looking at her phone, but I wondered later: if I’d gone under her car, would she have seen me at all?I was also very lucky to not be injured, because the vehicle was moving at a relatively slow pace. It was still extremely shocking and scary. Thankfully, the driver pulled over, as did several witnesses. This is what you should do if something like this happens to you—and what I would have done differently. Often, when someone is struck by a car, they aren’t up and walking around like I was, meaning they have no say in what comes next. However, if you are up and able to handle the situation yourself, call the police, even if you think you’re fine. I have a deep aversion to calling the cops, and I didn’t want to see this woman arrested. But as I calmed down, I did want her to be held accountable. If this is how she drives, the next person in her path might not be so lucky. In this case, I could have been someone smaller, slower, or younger—a child could have easily been killed. An hour or so later I was at home and steady enough to try to file a report—only to find out that I couldn’t. In these cases, the police will not accept an accident report when it’s not at the scene of the accident, unless the driver fled the scene. Instead, I was told that I could file a report with her insurance company. So, call the police and stay on the scene with your vehicular assailant, even if it seems like too much and takes a while to get a response. Another reason to get the authorities involved: they’re trained to help you start the process of that insurance complaint, as well. After being hit, I demanded the woman get out of her car, where she was sitting and mouthing, “I’m sorry!” at me. I took a photo of her licence and plate, but I didn’t think to get her insurance info. This was stupid, but then again, I had just been just get hit by her car. Also, I wasn’t in a car myself, so it’s not like I had insurance papers to trade.The LAPD informed me that I’d have to call and ask her for the contact for her insurance company, and they warned me to do it “nicely.” That’s because if she refuses, the next step is a civil court case, and nobody wants to go through that. Try to get all the information you can while at the scene, because the driver may change their mind about wanting to be helpful when you’re not in front of them fuming. This is not something that would have occurred to me, but luckily someone who saw what happened did know what to do. A man offered me his phone number and name, and told me to contact him if I needed a witness for my accident. I was so upset, I’m lucky I took it down. If anyone has stopped to help you or rubberneck, get their phone numbers and names. You need to start building your case right away, and they will be key to that.While you’re at it, take lots of pictures—of the car, the street, the street signs, and anything else you could be asked about but will probably have trouble remembering later. After I walked away, I realized I’d forgotten the cross street of where the accident happened, and had to look it up on a map. Documentation will help you piece things together later. When your adrenaline is pumping, you might think you’re fine. And your adrenaline sure pumps when you suddenly become an NPC in someone’s Grand Theft Auto game. That doesn’t mean you haven’t been injured. It’s possible that if you call the police, an ambulance will end up coming, too. Even if it doesn’t appear to be a medical emergency, you should be checked out. You may be in shock and not realize you have a head or other internal injury. I have just received health insurance after many years without it, but I was still reluctant to go to the doctor. So, I didn’t. I know, stupid! This morning I am a little sore, but I still live. A doctor’s visit, however, would strengthen any case I brought against the woman who hit me with her insurance company or in a civil suit. Go to the doctor for your health and for your records. You should also be documenting all expenses related to your accident; not just medical bills, but money lost from lack of work, taxis, repairs to your anything damaged, like a bike.There is a lot of bureaucracy involved in filing a claim, and you are unlikely to become an expert overnight, so here’s a big one: hire a lawyer. Insurance companies are more likely to respond to and work with a professional. 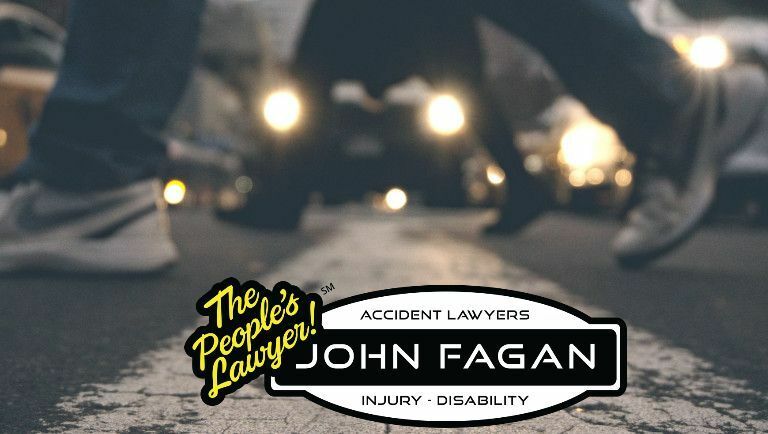 Bike Law is an organisation of lawyers dedicated to dealing with these exact sorts of accidents if you need someplace to jump off in your search for representation. The witness who gave me his name and number also handed me several packets of sugar to eat, saying they’d help me with shock. I dropped them on the ground, but it was a nice idea. Make sure you get out of the road, sit down, and remember, it’s okay to be vulnerable in this moment. Reach out to someone for help, rest, and know that it’s totally normal to experience emotional fallout, even if you’re relatively okay. If you can, talk to a therapist and be aware of the symptoms of PTSD. If you see an accident, stop and help where you can. Offer to be a witness for someone who may be facing an uphill battle to receive appropriate treatment or compensation for what’s happened to them. Help gather the driver’s info if the victim seems too upset or out of it to do so themselves. This is called being a good citizen, and it could make a huge difference in someone’s recovery. And if you’re not at the scene, but know a friend has been hurt, check in with them. While it was stupid to tweet about my accident, a friend Venmoed me money for a coffee right after I did. It made me cry, but that was just the release I needed.